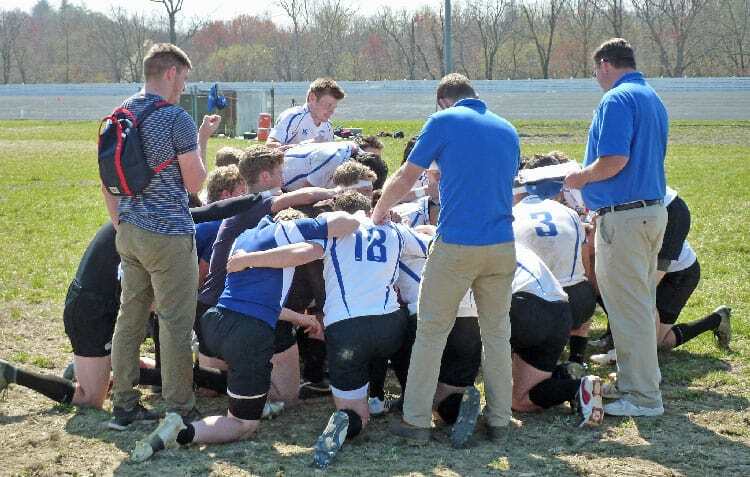 The Christendom Crusader rugby team was dealt a swift exit from the Cherry Blossom Rugby tournament over the weekend, only winning one game during their four games of competition. Elsewhere, the baseball and softball teams both fell to Wilson College, with Wilson snapping the softball team’s impressive six-game winning streak in the process. The Crusaders entered the 53rd Cherry Blossom tournament on a high after clinching their third-straight NSCRO 7s National Championship berth the previous weekend. That momentum did not last however, with a tough 28-5 loss to Towson starting their day. The Crusaders rallied in their second game against Maryland, but ultimately fell 26-19. A crushing defeat of Siena College 47-7 helped Christendom make it to Sunday’s competition, but a rematch against Towson came to a similar result: a 17-0 loss and an early exit from the tournament. At Wilson College, the Crusader baseball team rolled in on Sunday after a double-header win against Williamson College the day before, looking to hand Wilson a similar result. Strong performances from Michael Mersch and Pete Day helped, but the Crusaders ultimately fell in both games, 8-4 and 14-4. The softball team has been hot recently, winning their past six games and eight of their last ten. That streak was not to last, however, with the offensive force of Wilson overwhelming the pitching staff. The Lady Crusaders lost both games, 10-5 and 12-4.